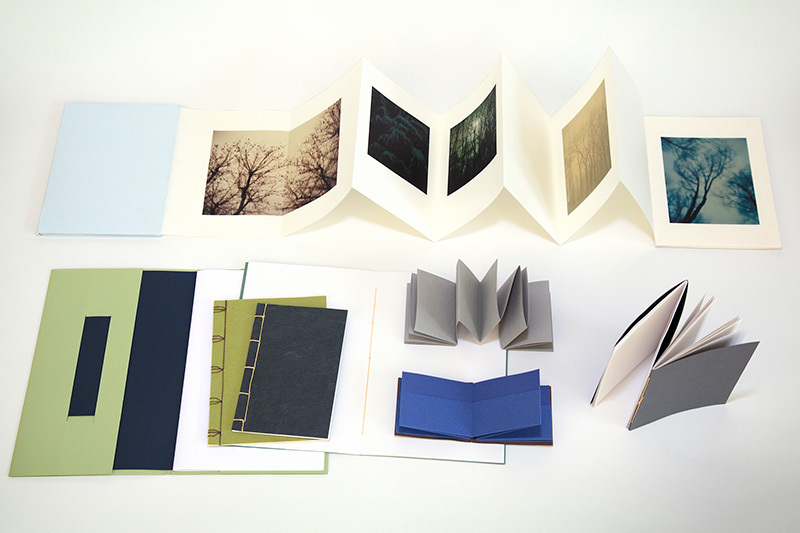 In this class, students will learn how to make various types of softcover books: basic instant, accordion fold, pocket accordion, self-hinged accordion with a softcover, single signature chapbook using a three-hole pamphlet stitch and a five-hole pamphlet stitch, and a multi-signature book. Variations such as Dos-à-dos (binding of two books into one volume) and French Doors (two pamphlets sewn separately onto the same cover) will be covered, as well as Asian bookbinding methods, such as stab binding and tortoise-shell binding. No previous bookmaking experience is required. Photographers, printmakers, illustrators, graphic designers, writers and anyone interested in creating a softcover book are welcome. Please register through Honolulu Museum of Art School's website.